You may have read Josh’s article about using Interact to make a chatbot but what if you want to use quizzes to grow your Facebook Chatbot list? In 2018, Mailchimp discovered that the average email open rate for all industries that they analyzed is 20.81%. This means that 79.19% of people are not seeing anything that you have to share. This is what makes chatbots so appealing. Neil Patel discussed how he was able to achieve an open rate of 88% and a click through rate of 56%. 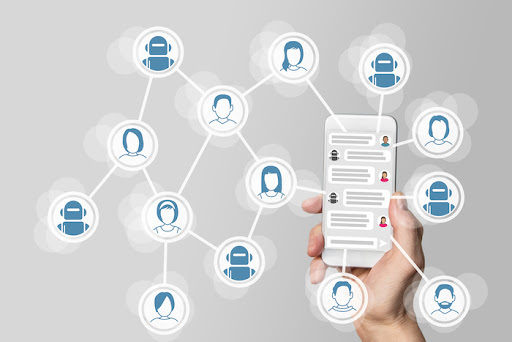 It would be safe to assume that if you focus on building your chatbot list, you are likely to grow a list of more engaged subscribers that are more likely to take action. Whilst it’s still a good idea to grow your email list, you also want to be intentional about growing your chatbot list at the same time. People love taking quizzes, especially fun quizzes, so why not combine the power of a quiz that’s attracting keen participants with a chatbot platform allowing you the opportunity to grow a list of engaged subscribers? Chatbots are great and whilst you can also build quizzes using some chatbot tools, they may not have the functionality to do all the things a native quiz app can do. Things such as multiple choice questions are something chatbot software is yet able to do easily, but you can do this with quizz platforms such as Interact. Using a quiz app may be the only option for some businesses or it may be a preferred option for other businesses. as you only a limited space using chatbots. 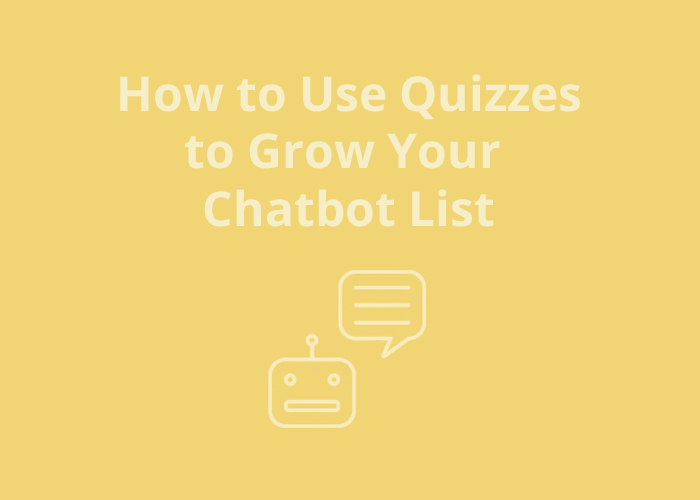 Either way, if you choose not to use a chatbot tool for your quizzes, you can still use your quiz to build your chatbot list. If you have an existing quiz built with something like Interact, you may not necessarily want to replace your quiz, but simply implement your chatbot to your existing quiz, to give you another way of communicating with your audience. This guide is still relevant to you and I recommend that you continue reading. Here are three simple ways that you can funnel your quiz participants into your chatbot and keep filling your chatbot with new subscribers consistently. When a participant has completed your quiz, if the quiz is being used for list building, the participant will have to enter at least an email address before being taken to their results page. 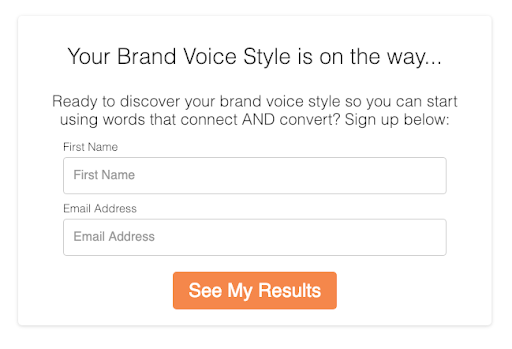 Instead of sending them to your website or a standard results page, you can redirect them directly to your bot. If you use a tool like ManyChat, you have the option of adding them to your bot using a link or you can even send them to a ManyChat landing page, where they can get their answer and opt-in to your bot on the same page. Not only do you now have a new subscriber on your email list, but you now have a new subscriber on your chatbot and we did not need the subscriber to go out of their way to be added to your chatbot list, making the process easy for them and easy for you. When someone has completed your quiz and they are redirected to their results page, you can request that they join your bot on the results page. The best strategy to use, in order to encourage someone to sign up for your bot, is to offer them something of value in exchange for them signing up for your list. For example, you have a knowledge quiz titled ‘How much do you know about dinosaurs?’. Participants are given 20 questions and they pass or fail dependent on how many answers that they get right. If someone doesn’t pass, or even if they do pass, they are taken to a results page. On the results, you can tell them their score and explain what their score means. If someone passes, you may have a call to action, inviting them to join your secret society of dinosaur lovers. You could ask them to click on the link to get access to your society. They then join the bot list, where you deliver the link to join your society. If they do not do well on the quiz, you may want to deliver an eBook where they can learn more interesting facts about dinosaurs as well as review the answers to some of the questions that they got wrong on the quiz. You can then have a call to action requesting that they click on the link to get their free guide. No matter what you offer, you want to ensure that you are offering something enticing. You can simply ask someone to join your bot without giving them a reason to do so. Whilst this is certainly an option, it may not be the most favorable one. The reason why this may not be the most favorable one is because of the poor open rates via email. The main reason that people choose to use bots is because of the poor open rates. Nonetheless, it’s still an option that I will talk you through. Once the quiz has been completed and the participant has submitted their name and email address, you will likely send an email with the participant ’s results and more information relating to your business. In your email, you can encourage the subscriber to join your bot list. You could invite to join the list to get live updates, blog updates, exclusive news or anything else you think your subscriber would be interested in signing up. To summarise, one of the issues we have with email marketing is the low number of people who are likely to open our emails after taking a quiz. The whole point of building a list is to communicate with them but communication works both ways. If no one is listening to what we have to say, then we need to find a better way to communicate, that will get people to list. Chatbots have proven to be that way. The use of quizzes will not die down any time soon and quizzes still offer some of the best opt-in rates compared to other offers. Whilst people are still building successful quizzes with tools such as Interact, you can combine the power quizzes (which offer high optin rates) with other chatbot tools like ManyChat (which offer high open rates and engagement rates) to quickly build an email list of active list of subscribers.